…is back to normal again. During the last 2 months, there was an obligatory rotation of Nightfallen – Legionfall – Army of Light – Argussian Reach – Kirin Tor every week. The rest two days was left for other emissaries, and it led to a situation when I may not have seen Valar’jar for a month or so. Obviously it was some sort of catch up mechanics – both helping players get their achievements required for things like flight and advance on Argus before Antorus raid. Would you like to have it this way in BfA – with focus on the later expansion factions upon patch drops? It may be convenient, but it also shoves your toons into stress environment. I don’t have a sure opinion whether it was good or bad. Anyways, I haven’t seen Army of Light or Argussian Reach for a while, and it’s old faction after old faction emissaries streak lately. My new routine considering emissaries is this: see if a toon is somewhere around its next paragon 10k (at least 8-9k) and if it is, go and do an emissary! If not, wait for more tokens to drop from missions. 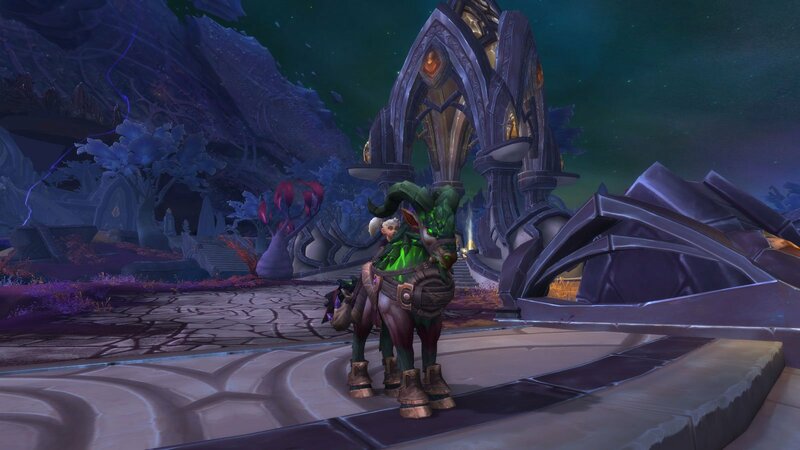 This provides a nice and unpredictable rotation of your toons daily and a sure-thing try on the lacking mounts. P.S. I’ve seen the old world bosses, and it wasn’t too much fun. You can’t survive well without a group. And the only reason to retry them is non-guaranteed drop of lo-fi transmog items – regarding that your veiled argunite gear is 10 ilvl better. Yesterday I decided that my paragon reputation assigned teams are no more. Previously, and for half a year by now, my 12 toons were divided into 3 groups. Every group was assigned 2 factions. For example, Micromantica, Aurinko, Bons and Paitsu are assigned to Valar’jar and Highmountain. This means that when VJ or HM emissary arrives, these four toons are doing their batch of 4 quests, buff their reputation – and well, are thus responsible for getting a paragon mount. This also means that whichever other toon gets a VJ or HM token from missions, they send these tokens to one of these 4 toons. This scheme is no more. These are the reasons of why it grew old. The changes in mission rewards. Reputation tokens are raining in dozens today, so you don’t have to fish them out one in a week. A very, very significant buff to reputation income. The changes in emissary rotations. Now every week we have obligatory four emissaries: Argussian Reach, Army of Light, Kirin Tor and Legionfall. The other three slots are shared between the rest of the factions, but I believe that Suramar’s Nightfallen could be the one I meet too often, so it may be obligatory too. That leaves us with TWO weekly emissary slots for other factions. For example, I’ve met Valar’jar only once per 1,5 months. That means that rotation is pretty ruined anyways. I grew tired of this routine. I got the moose from Highmountain pretty fast, a pet from Legionfall’s first paragon chest and 3 toys from Wardens on different toons – and no other mount for 6 months, with 4 toons working on every paragon rep and not missing a single emissary. So, I felt that it is time to let it go. I’ll keep heading for paragon mounts, but it should and will be a side dish. That means: rep tokens are still the most desirable item from Order Hall mission table, but they will be consumed by the very toon that gets them. No more scheming, mailing them, charting them, assigning duties and all. The same with Broken Isles factions emissaries: I’m running an emissary quest if I feel like doing so, and on random toon now. The one that would feel like doing it. I’m still on fire. Blizzard won’t give me any break, and emissary rotation is pretty mad. Only on my weekend I managed to shovel the 48 quests of Argussian Reach + 36 quests for Kirin Tor, followed by normal 4-alts 16 quests of Dreamweavers. Now, when I would prefer some rest, Army of Light is here again, and with 48 quests per se. I’m not sure how long I would be grinding the reputations, but by all means I’m reaching Exalted in Argus on every toon. Then Dobby is free and back to 4-alt routine per day :) And with days off for Legionfall, Wardens or Highmountain emissaries. Every week I’m doing 3-5 paragon tries for the lacking mounts from Valsharah, Azsuna, Stormheim and Suramar. The token flow from missions is pretty great. And yet, it’s soon gonna be half a year of rep grinding without any result. If none of these mounts are to come by the end of expansion, I’m gonna quit it. Cause it seems you could try forever. I’ve reviewed my playing style with Holy spec of Aurinko the Priest, and it turned out I played it completely wrong. Went for a test run in Tomb with a brand new rotation, and found out that I perform much better now – like way better, while at the same time my mana won’t even drop (and I was running out of it previously by the end of encounter). As for Argus, the emissary rotation is not just exhausting, but also pays off: I’m moving towards Revered/Exalted in huge leaps, and by the opening of Antorus (will it be opened straightaway after Blizzcon?) I think I’m gonna be there on my main. The weekend was also an achievement streak. First, I went with two guildmates for a mythic SoO run, and not only I got all the mythic boss achievements (which shortened the list significantly), but we also grabbed some more on the way. Nice transmog drops too. Second, I got the treasure hunt achievement in Argus. I went with Helu, my druid, and sneaked everywhere in a cat form alright. The achievement is quite easy, but it takes some time to complete – took me three hours. Mostly because of waiting for Vindicaar’s cooldowns, because you get most treasures by using one of the three buffs of the vessel. Exploring was fun on the way, I got 3 new weapon transmogs from the chests, and I believe I also bought a pair of 910 items from earned veiled argunite, also raising my weapon level by 2 or 3. Worth doing! Third, we had a killing streak with my guildmates, protecting Vindicaar from the ground in Krokuun, and we farmed ~1300 demons, so I got the achievement and the mount :) ?The sad thing is: it’s not the last achievement. There one more, and you have to farm 5000 demons to make it final, and to earn yourself a title. Hope there’s nothing beyond that. So – reps, reps and reps. This is it! Team Wardens/Nightfallen becomes the second to get one of their prizes. Anibell fished out a toy from her yet another paragon chest. Cool enough :) And yes, I’ve just earned myself an extra weekend from dailies. No more Warden emissary runs! Only four rep columns are left now in my chart. Legionfall is about Revered, so when I hit Exalted on all toons, it just goes – cause I already got the pet. Basically I’m already closing in the cap of second artifact weapons. I need them all at 52, and then I will ignore every AP income sources besides the natural drops from raids or quests. It’s the final chart that I’m working on. As you see, most of my toons have already collected the full set of EN/TN raids. Today Etraeus dropped the last missing gloves for Aurinko. Some of the pieces could be acquired by other classes, so my toons help each other. For example, the only piece that Micromantica misses is wrists from Aluriel. So Aurinko had a try and also tossed a coin for Aluriel’s wrists on her way to Etraeus, and Faerella, although all set and done, will do the same. Hexen lacks only chest from Krosus – alas, no other leather toon could help her with this. What pisses me off about drops is that Mindebad, Anibell and Bons have the worst karma for plate armor. They all lack 2-3 pieces, they can help each other to acquire them, and they just won’t drop. This week I ran all the wings of EN/TN with Anibell and Mindebad – none of the bosses dropped a single piece that I needed for them three. Let’s see how Bons will work it all out on weekend. Breaking news: to complete the latest Legionfall campaign step, you need to complete 3 order hall missions in Broken Shore. Bad news: some Broken Shore missions don’t count into the quest for reasons unknown. Tip: 100% proof are missions for Legionfal resources and Legionfall reputation tokens. And now to something interesting. I’m beginning my faction mount game today! To see how it works, let’s have a look at the chart. I have 6 factions I need to work on for extra caches and a chance for mount: Valarjar, Highmountain, Dreamweavers, Farondis, Wardens and Nightfallen. When every toon is Exalted with a faction (orange color in my chart), I assign four of them to work for a specific pair of factions. All the rest will be sending them the appropriate rep tokens they earn from missions. Important thing is that I paint toons not on the team blank. It means that I let it go and stop worrying, for example, how many points are there with Wardens for Aurinko? For example, all of my toons are Exalted with Wardens and Nightfallen. From now on, I’ve assigned Mindebad, Anibell, Backston and Melaris to do their emissaries until I get the mount. This means 16 WQ (4×4) per day, and it’s gonna be completed in an hour, very quickly indeed. Micromantica, Aurinko, Bons, Paitsu – Team Valarjar & Highmountain. The tense cliffs are perfect for casters and a pair of tanks. Mindebad, Anibell, Backston, Melaris – Team Wardens & Nightfallen. Three tanks and a hunter will be awesome for engaging in elite or multiple Suramar skirmishes. Helu, Shlitzchen, Hexen, Faerella – Team Dreamweavers & Farondis. The squishy toons fit well for open spaces in Azsuna and Val’sharah (also they’re my Horde four). So, the Tomb of Sargeras raid schedule is up! Of course I am interested in Raid Finder only. This means that I will see Kil’Jaeden in August. But I’m somehow not anticipating it with eager – like Archimonde or Gul’dan. I know all his story of course, but he somehow doesn’t feel like a guy we want to kill (although we need to). You really need to grow a big bad before you set him as a raid boss. Kil’Jaeden now feels… like a technical foe, like the Legion mobs in Broken Shore. He sits in the farthest corner in Tomb of Sargeras and does nothing. He’s not present as a nemesis in Broken Shore – well, at least he could comment something during invasions and questing. He’s not seen as a threat now. In other words, Summer is rolling out to be a major lull time despite the new raid. I would clear all the loose ends. The next step of Legionfall campaign is completing 3 missions for Broken Shore in your Order Hall. It seems bugged, because I’ve completed an ordinary and and elite mission, and I’m still at 0/3. My best guess is that only elite missions count, and the ones you start AFTER taking the quest. As long as elite missions take 3 days for the followers to complete, it needs to be checked yet. It’s Monday, and it’s time to revise my week. I’ve decided I slow down now. Every day I’ll be doing only those emissaries and those toons which are not Exalted yet. When I’m there, I’ll assign the “mount teams” to factions, and it’s gonna be only 4 emissaries per day – basically an hour of gameplay which is quite sensible for chasing the mounts. I need to take a break from world quests, although it’s still fun to do them. If I had only a pair of toons, I’d never even think about being exhausted. With twelve – and a race to Exalted – it was a bit tough. Although the end is nigh. This week I”ll be there- and then I’m entering the relaxed mode, ready for running and re-running raids for transmog and Broken Shore questing. Meanwhile my toons went to the long-delayed Sentinax farm for badges quest. And it suddenly appeared to be quite fun and fast, even for those like warlock, rogue, shaman or druid girls. The step is over now, and I’m glad the further ones are soloed. For Micromantica the-lore-flagship who does every quest upon arrival, there’s two weeks and two steps left. It means that the new raid is coming at us in the middle of June, and also class mounts. So I need to be ready for this with every toon considering Broken Shore major questline. Just this sheet, nothing else. I’m glad that I need only 40 AK now, not 50 – because I will stop worrying about them 10 orders earlier. My cap will be trait 52. Then I will just invest in other specs – even the ones that I don’t play. I did that previously – when the cap was basically 35, and it worked well. I could do the lore quests for every spec when the new traits in 7.2. were opened. And the traits were bounced back to 35 for everyone, and a small AP amount refunded.